It might be the most natural thing in the world, but breastfeeding isn’t as straightforward as you initially might think. Not only is it sometimes more difficult than many new moms imagined, but there’s also a lot of things that need to be considered in order to ensure baby is getting the nutrients they need. Did you know for example, that everything you eat and drink, continues to get passed down to your baby via your breastmilk? This means there’s certain foods and drinks you’ll want to avoid, and some you’ll want to stock up on. To make it easier, below you’ll discover which foods you should be eating and which should be avoided to give your little one the best start in life. Which Foods Should You Be Eating? Contrary to popular belief, you don’t actually need to make any major changes to your diet when breastfeeding. A good, standard healthy diet is all that is required. However, the foods below are going to help you to feel better, which in turn will help make motherhood that little bit easier. Fruits And Vegetables – Fruits and vegetables should be a large part of any diet, not just when you’re breastfeeding. Fresh is often considered better in terms of nutrition, however frozen and tinned varieties are also good for the body. The only restriction here, is fruit juice. Try to avoid drinking over 150ml of juice (unsweetened) each day. Protein Based Foods – If you’re looking to keep your energy levels topped up, protein based foods are highly recommended. These include foods such as nuts, seeds, chicken, eggs and fish. These types of foods help to keep you feeling fuller for longer, ensuring you don’t feel the need to snack on unhealthy junk foods. Fiber Based Foods – Did you know that after giving birth, you could have trouble with constipation and bowel issues? Therefore, increasing your fiber intake isn’t just going to be good for baby, it’s good for you too! Eat plenty of wholegrain products, lentils and pulses to receive good levels of daily fiber. Fluids – To encourage healthy breastmilk production, it helps to ensure you’re drinking plenty of fluids. The best choices include semi-skimmed or skimmed milk and water. So, as you can see there aren’t any specific foods listed and that’s because the best thing for baby is for you to eat a standard healthy diet. There are no specific foods that are going to make a significant difference to the health of your little one. Well, at least not in terms of positive benefits. There are however, some foods and liquids that you’ll want to avoid which are known to cause negative effects on baby’s health. Peppermint – Although it’s not something many of us frequently consume anyway, it’s worth mentioning peppermint should be avoided when breastfeeding. This is because it is known to reduce the milk supply, leading to potentially serious feeding problems. Even peppermint tea should be avoided according to experts, as this can also cause baby to develop skin problems, as well as diarrhea. However, some mothers do report that the tea helps them to reduce pain felt after breastfeeding. It is weaker than standard peppermint so you would need to drink quite a lot of it in order for it to start affecting the amount of milk you produce. Alcohol – You gave up alcohol for nine months and now you can’t even enjoy it while you’re breastfeeding? Well, you can, but only in very limited quantities. A glass or two of wine each week isn’t going to negatively affect your little one. However, it’s best to drink it after breastfeeding, rather than right before. Many moms don’t realize that the amount of alcohol which finds its way into the breastmilk, is the same as the blood alcohol content. So, if you do drink excessively when breastfeeding, it will have a serious negative effect on baby. Caffeine – Similar to alcohol, caffeine should also be limited. You don’t have to give it up completely (how else are you going to survive the common sleep deprivation? ), but high levels of caffeine can cause some pretty nasty side effects in babies. For example, one problem it can lead to which you’ll definitely want to avoid, is sleep troubles. If baby consumes a large amount of caffeine, just like adults they’re not going to be able to get to sleep at night. This alone is a perfect reason to cut down! However, be aware that caffeine isn’t only found in coffee. It can be hiding out in a lot of products such as cold medicines, energy drinks and even paracetamol. So, when working out your caffeine intake, be sure to take into account anything it could be hiding in. So how much is too much? Well, experts recommend sticking to just one or two cups of coffee a day. One thing you may be surprised to find missing from the list is fish. It’s a common belief that fish should be avoided due to its mercury content. However, the majority of fish don’t actually contain enough mercury to be harmful. So, fish such as tinned tuna and salmon can be eaten as part of a healthy diet, but no more than twice per week. You can confirm this with a doctor however, as they may suggest cutting back on fish while breastfeeding for numerous reasons. It’s always better to seek professional advice before making any changes to your diet. We’ve covered the food groups you’ll want to focus on and the top foods you’ll want to avoid. But is there anything else you should be aware of in terms of your diet? There are some foods which can cause problems for baby, but they do affect each infant a little differently. For example, some moms report having issues due to consuming spicy, strong tasting foods. Other foods you may want to be wary of include peanuts, wheat and dairy as these can cause allergic reactions. However, none of these foods are guaranteed to cause issues, it’s just worth being aware of the potential problems they can cause. Overall, despite popular belief, there isn’t really any evidence suggesting diet plays a major role in breastfeeding issues. Apart from the foods mentioned above to be avoided, you can eat almost anything in moderation. It’s all about healthy eating, but if you are concerned it is worth talking to your GP or pediatrician to see what they recommend. Another thing that I’ve heard that should be avoided while breastfeeding is pineapple. I guess because of it’s strong flavor? I have no idea. Luckily, I did extensive research before my baby was born and I knew the basic things when it comes to breastfeeding and the foods. However, I had no idea about the peppermint – I hardly ever eat it but it is still quite useful to know. When I gave birth, believe it or not, I even gave up coffee while breastfeeding. I know that one or two cups should be okay but I just didn’t want to risk it and I cut it completely. It was pretty hard because I was used to drinking it so much… then you lose that extra boost of energy but once your body gets used to it, it’s okay. That’s actually one of the the most intense things of being a mom or going to be mom is that you should never take risk knowing that what ever happens to the baby is in your hands because the babies life is in your hands so its actually a good thing not to take risk cause if your just spite your self for a few months for that baby its not that bad but if you spite the baby by taking high risks and putting a humans life in danger for your luxury. I think it’s just easier to assume that you should carry on the diet you had while pregnant and extend it as you breastfeed, that’ll guarantee that the breastmilk is healthy and rich enough to provide your little one with all the nutrients needed. I had no idea about peppermint, though… That’s why I love this blog, I always learn something new. Thank you! Thank you very much, RoseLady. Really glad you find the articles helpful. I guess we’re on the same boat with the softdrinks problem. It was a bit of a challenge for me then. I did my best to avoid it as well but there were times when it was difficult to resist, haha. As for coffee or alcohol, never had any problems avoiding them. No breastfeeding mom should even consider drinking alcohol. I also didn’t know about peppermint. 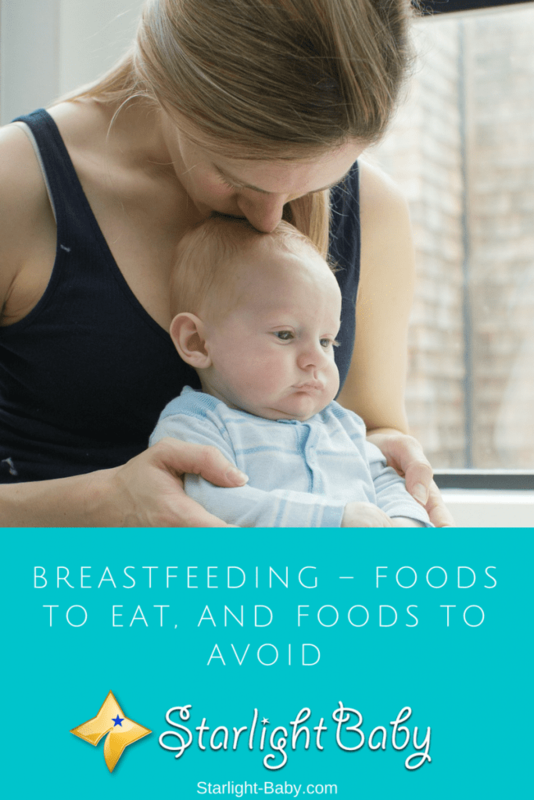 When I first breastfed my eldest, I checked out the list of food to consume and also to avoid, at the end I found out I just need to eat healthy. I also realize drinking lots of water does help to produce more milk. I totally avoid alcohol and coffee when we were planning for our first child, that was about 10 years ago. I am now waiting to wean off my youngest, then I can start drinking my favourite cappuccino. Indeed, a breastfeeding mom should never ever drink alcohol or coffee because the baby will ingest these, too. Not healthy at all. A breastfeeding mom who drinks alcohol or coffee is risking the health of her child. When one is done breastfeeding, then go ahead indulge. Moms do need to sacrifice for their baby/child, but the pros definitely outweigh the cons. Nature has given its best and one has to enjoy the process of parenting. Breast feeding is the best as its the most enjoyable time a parent has with their babies. We all need to see to it that the more natural and raw stuff consumed the better because that’s what is going to get to the baby as well. So avoid all artificial and processed stuff and see to it that all of the mummies out their consume the food that’s natural and raw. Stop all that is processed. I breastfed my two kids until about six or seven months. During this period, I was always very careful of what I ate or drank. It goes without saying that smoking or drinking is out of the picture. I was also careful of the medications I took this period. I read up a lot on what you can and can’t eat while breastfeeding. The decision to breastfeed my kids exclusively for the first six months of their lives is one that should not be taken lightly. It requires time and dedication and your baby will be most healthier for this. Once I knew I was pregnant with my first child, we decided it was best for me to stay home and nurse till they were at least two years. I was quite lucky to be able to do this. It is not an option available to every mom. Mother’s milk is always the best. You’re indeed one of the lucky ones, joegirl. Being able to stay home, breastfeed your baby, and see him/her grow is truly a luxury not many can afford because most moms need to work to augment the family income. And yes, smoking and/or drinking is a big no-no when breastfeeding. Every breastfeeding mom should only eat healthy foods because everything she eats will be part of the breast milk. You are right, vegetables and fruits are essential, but I know that food beans or cabbage and garlic must be avoided from the mother diet if she is breastfeeding. I know this from the last time when my wife was advised what to eat or not at the time of feeding the baby. Your article misses one very important point. A nursing mother should eat foods that are rich in calcium. Calcium promotes lactation. One of the best sources of calcium is ajwain. You can either drink ajwain tea or use ajwain as spices on your food. Another food that is rich in calcium is asparagus. You should drink asparagus soup to produce more milk. Thank you for sharing the information on eating calcium-rich foods and their sources. You are so right about it. Women especially need calcium during pregnancy because of the additional burden they have to bear while waiting for the baby to be born. Keep sharing! During the pregnancy stage, women need iron and calcium. They should take foods rich in calcium and iron. Sometimes nutrients from food alone are not enough for a pregnant woman, in that case, they should take iron and calcium supplement. Women should continue taking iron and calcium post pregnancy. When you are a nursing mother, you should avoid hot and spicy food because these foods will trouble stomach of your little ones. Moringa is usually advise to take 1 month before expected date of confinement ( EDC ) this is scientifically proven. In Philippines, it is widely considered to be the best food source for newborn because it enhances the milk production. Every backyard has a moringa plant so it’s normal vegetable for us. The calcium content is high and loaded of iron, vitamins A,E,&K and magnesium which are essential for growth and development of newborn. I myself wayback 10 yrs ago proven to myself how effective it is as enhancer in milk production for breast feeding mothers. I have heard of moringa before but I never really paid attention to it. Thanks for sharing the information, sweetpot81. Now I know of its benefits. I looked online and it looks like, it can also be added to various foods. Breastfeeding is in fact the most important stage after post pregnancy. It defines how the new born baby would be like, whether healthy or shabby, and as a result ultimate care should be towards what a nursing consumes as it directly influences and affects the child. I’m well aware that alcoholic beverage and caffeine consumption isn’t healthy for a new nursing mother to take as a result of still breastfeeding her new born baby, but I wasn’t aware that peppermint is not good as well. So glad to have come across this information now, as it’s definitely going to very useful to me in future. It’s really nice to read that one of food to take while breastfeeding is fruits. The reason I said so is that the lady that I’m dating, with plans of getting married soon, has formed the habit of stocking our fridge with fruits such as pineapple, oranges, watermelon and the rest. Also, learning that excessive intake of alcohol might affect breastfeeding of the baby is a good for us to control how much drink she takes when she will have our first child. Without being told, I’m sure an average human being or any mother would know that benefits of eating fruits because of its vitamins contents. And with the baby growing and still small, the child’s development is 100% dependent on what the mother consumes. I love it’s exposed here on what parents should strive to avoid consuming when they are still breastfeeding their young ones. Babies still at breastfeeding stage are completely dependent on whatever they source from the breast milk, and as such nursing mothers should be extremely careful with what they eat and avoid for the benefits of their child. Mentioning caffeine here is really nice because there are some people who can’t do without consuming it on daily basis, so the information provided here is a direct warning that it’s not safe and good for the baby.